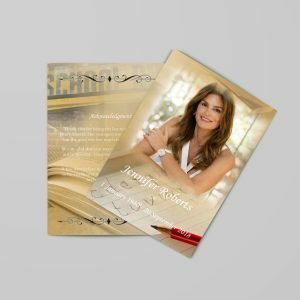 A funeral program or pamphlet is a simple document that provides important information about a memorial service for the departed. 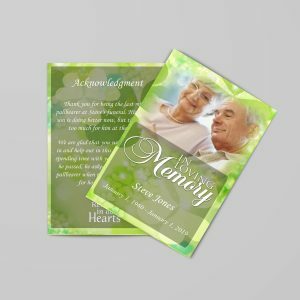 These printed documents help the bereaved in honoring the memory of the person they have recently lost. It is a chance for them to celebrate the life of their loved one. 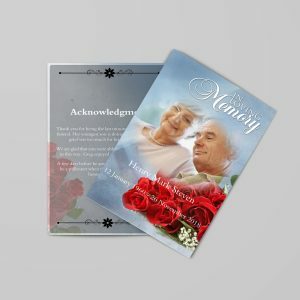 A funeral pamphlet is a way for family members, friends and co-workers remember things and events about the deceased that made him or her one very special and unique individual. Funeral programs and pamphlets can be made by the family members themselves-a means for them to deal with the gravity of their loss. A pamphlet is simply a printed sheet that, when unfolded reveals a tribute to cherish the life that has been suddenly snuffed out. 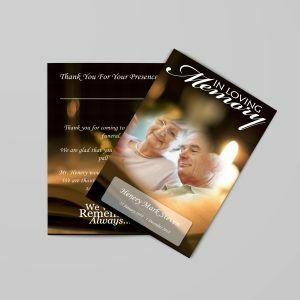 Instead of relying on the funeral home to create this memento, a family member can choose to make the program with the help of a funeral pamphlet template. 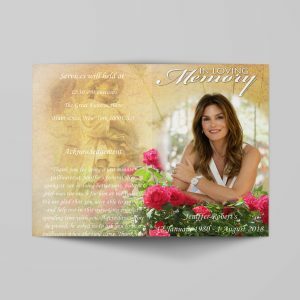 Many types of templates for various sizes and kinds of funeral pamphlets abound online. Templates offer uses with quick solutions since they are ready to be filled with images and text. Using a template is advantageous, especially for someone who is busy with other aspects of the funeral arrangements. If there is a printer in the home, then the funeral pamphlet can be produced as soon as the layouting and editing tasks are completed. There are many color options as well. Some templates cut down the work in half the time because of the ease by which they can be used. The user can also choose to do the layout manually and put the pieces together one by one. However, this takes time, and if time is of the essence then a template is the most practical option. Many templates can be downloaded from the Internet free, while others need to be bought for a price. The price tag varies as well so that someone with budgetary limitations need not worry about cost. Because of the variety of templates available, the number of available themes, layouts, and styles are too numerous to count. Today, there are so many choices available that the template that is chosen can reflect the tastes and preferences of the deceased. 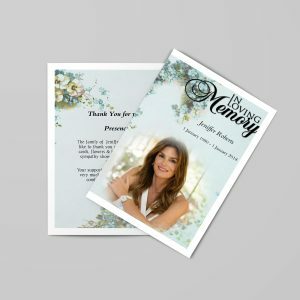 A template that accurately presents the personality of the subject of the tribute is usually what relatives are looking for. This can be surely be found given after a cursory search online. Since there are many different types of templates, the user can also choose one that he or she is comfortable using and navigating through. A well-made funeral pamphlet contains not only obituary information but also things to remember the deceased even after they have gone. 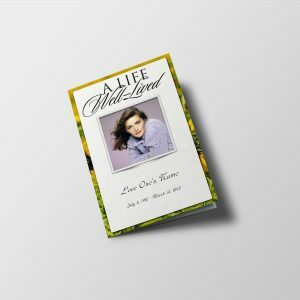 With the right template and assortment of well-chosen contents, a funeral pamphlet that contains the best photos of the deceased, along with poems, and probably a few favorite songs can offer the bereaved solace in their time of sadness.